With our British weather being so bad as of late , i decided to give the indoor scene a go . So i made a couple of foam models and a Shokie to take a long and have a bit of fun in the still air of a sports hall . Unfortunately the depron edge was a bit to big and fragile for the size of hall and so was broken . 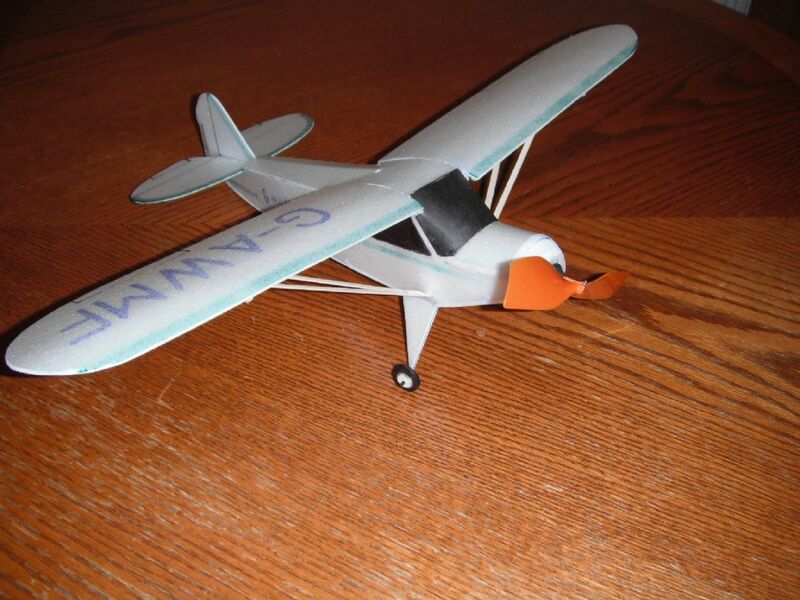 But i did still had a lot of fun reliving my childhood days with the free flight models i made . Here are a few pictures of the models and a video . 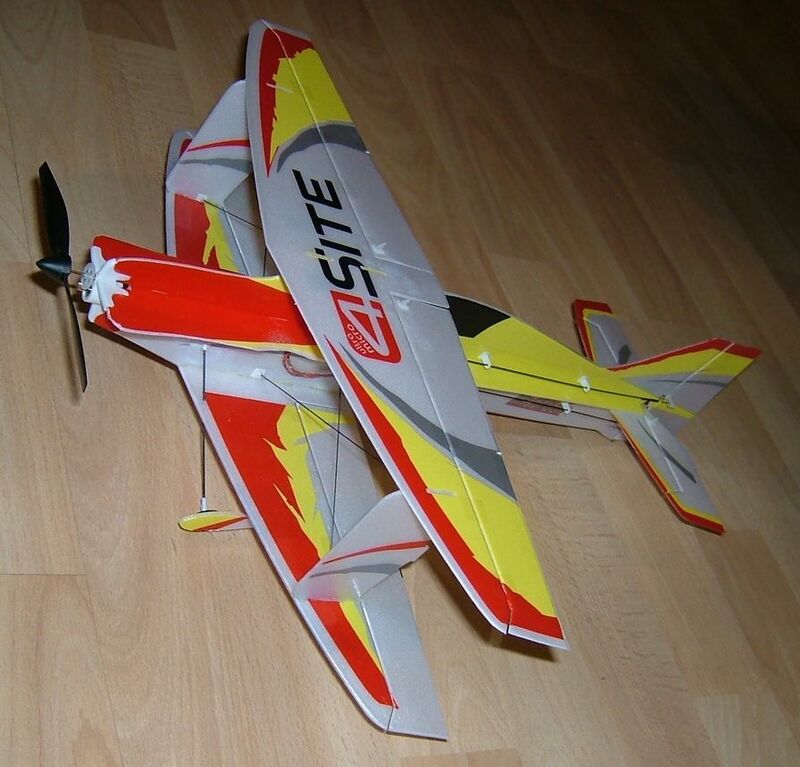 Do any of you do the indoor scene and wot do you like to fly . Would love to see wot you guys get up to lets see your models . in the mean time here are mine . 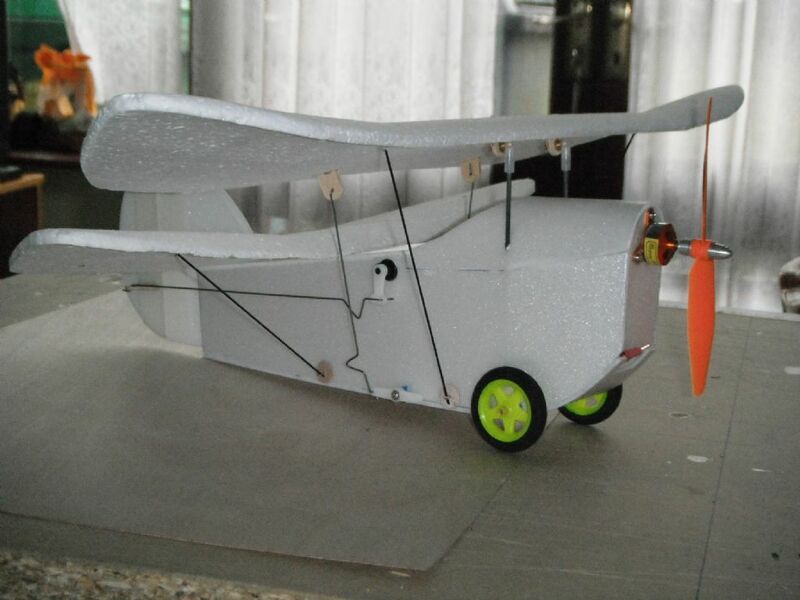 A Flying Flea made from pink insulation foam . A Super Piper made from Depron . 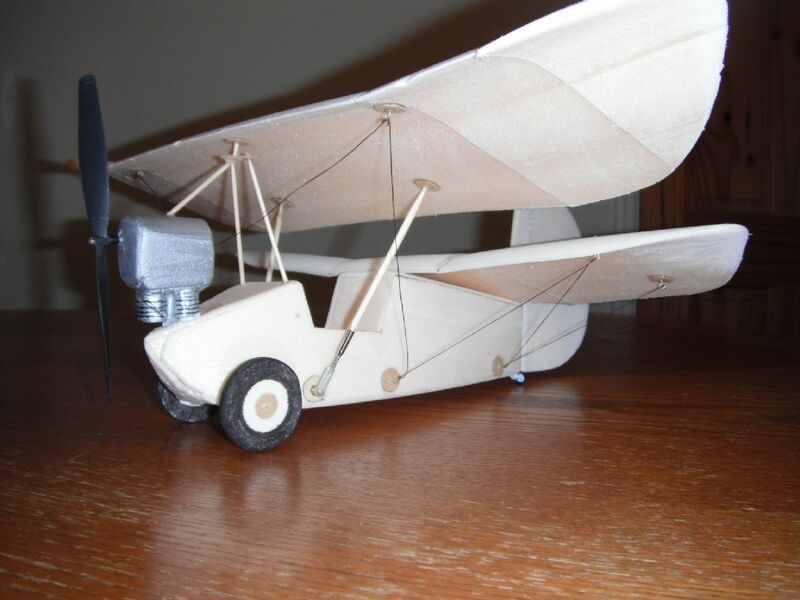 Very interesting Stephen and well designed and built,I had a number of questions but you answered them all.I entered the foray of indoor flying by buying a mini J3 cub,BNF,spent the whole of a lovely summer windless evening flying it ouside the hall on some playing fields,when it became to dark out side I discovered it was to big for the hall!!!!!!!!!! Been indoor flying for quite a while now. Started out with free flight rubber, mostly own designs as i actually had more sucess with these! Turned increasingly towards r/c especially when my outdoor flying started to improve. Re the Cub, its fine in a standard 4 badminton court hall, if your hall is smaller you may have problems. Alternatively, flying style? Lots of people fly really big turns indoors for some reason. These models are designed to fly indoors, they are agile and won't bite. That looks really good nice size an all , watched the video fly`s great too.Although i may not be up to that standard yet . Only down side for me is the radio , i`am on futaba not sure if the do receivers that small . Love indoor free flight, and have a collection of small, mainly rubber powered things to do it with, nearly all stick and tissue built ranging from Peanut scale and "NoCal" profile - such as a Jodel Bebe and a newly build Piper Cub - to the well known Hangar Rat, with various things like the Peck designed Prairie Bird and a half-scale Achilles in between. Will get round to a picture album soon, though I can't claim most of my models are all that pretty - more functional ! Like those Depron models of yours, Stephen, very neat. I don't have the finesse for the real slow flying ultra-light contest things, but nice light models that don't thwack the wall too hard are all good. Hope to do more indoor meets this winter than last, they are good fun. Am hoping to go to Wallingford this Sunday for one of the all-FF sessions, though it's a fair way from where I live; but at least you have a rough idea of what the weather will be like indoors! Am keeping my newly developing R/C "skills" on the outside for the moment, dsafer for all concerned! Went along to see what it was all about this week and I was truly amazed at what I saw. I did take my trusty FlyCamOne V2 along and as its so light stuck it onto a model. Looks so good - have a look at it. We had one of our regular indoor meetings on Saturday, where good fun was had by all. In response to a previous challenge to build something original for the event, I built a 50% scale model of my Maricardo. Does this qualify as large scale? Spot the guy who wants to be in on the video lol . What size are the models flown in that hall and are they made out of depron . Very Nice is that a scratch build of youre own ? My Stunt Monkey was a free plan in RCM&E. Test flew it in the gym on Tuesday morning, brilliant fun. Treated myself to a cheap 2s motor and some 350mah 2s packs to get the weight down into that magical 140-150g mark. Been trying to learn to hover better to start practicing rolling harriers etc. Managed to hover one entire pack infront of myself and my first few multiple torque rolls. Can't recommend the model enough, flies much better than the Dual Sky Breeze it replaced. That's nice Eck, I do like that. Yes, it's a scratch build. Just took the measurements from the full-size and halved them. The fuselage and tail (empennage?) are from 3mm Depron, and the flat-plate wing from 6mm EPP, with a 3mm carbon spar. The canopy and forward deck are carved and sanded from insulation foam. Power is a cheapo "Blue Wonder" pole and stator motor, with a 10A Robotbirds ESC and 330mA/H 2S LiPo. Next project (for the February indoor meet) is likely to be a Wot 2. (half size Wot 4). Yes It survived though. According to my ace cameraperson, it looks fast because the shutter speed on the camera was slow, because of the indoor light. Nice tracking on her part, though! lol good on you eck for doing something different. Just thought id share one of my designs with you all . I think i will call this Easy Flea . I just built the stunt monkey but mine weighs 180g I do have a 500 mah lipo on it though . I also put the fillets on all edges , flush finish with the nose. The used one of the futaba circle servo plates as a motor mount( sanded the raised centre of. ) the fillets gave extra strength and adhesion area for the mount plate. 180g , That`s a 40g increase may not be the stunt monkey you would hope for . Even a small increase in weight on such a small plane can have a dramatic effect to its performance . My Easy Flea is 20g heaver than the free flight Flea , So i have no idea how well it will fly . 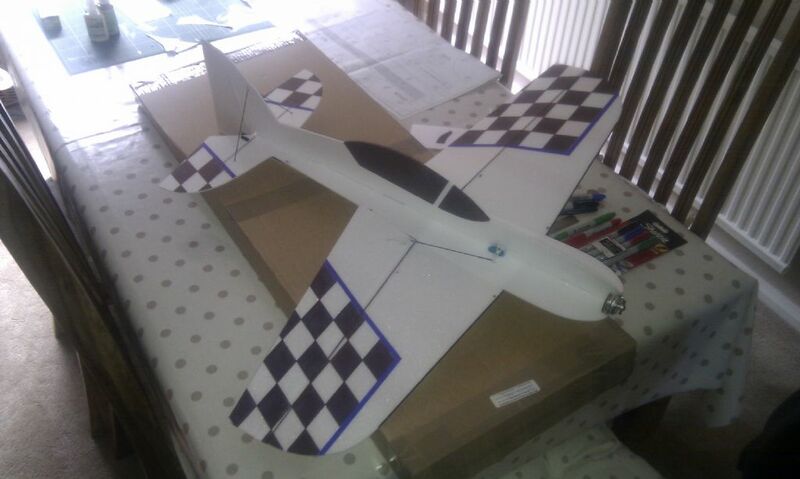 I hope to test fly it at Rochdale indoor flying meeting soon , it has an AuW of 80g and has a 20" wing span .